This anti-lost bluetooth tracker made of ABS, fashionable, mini size, and easy to carry. 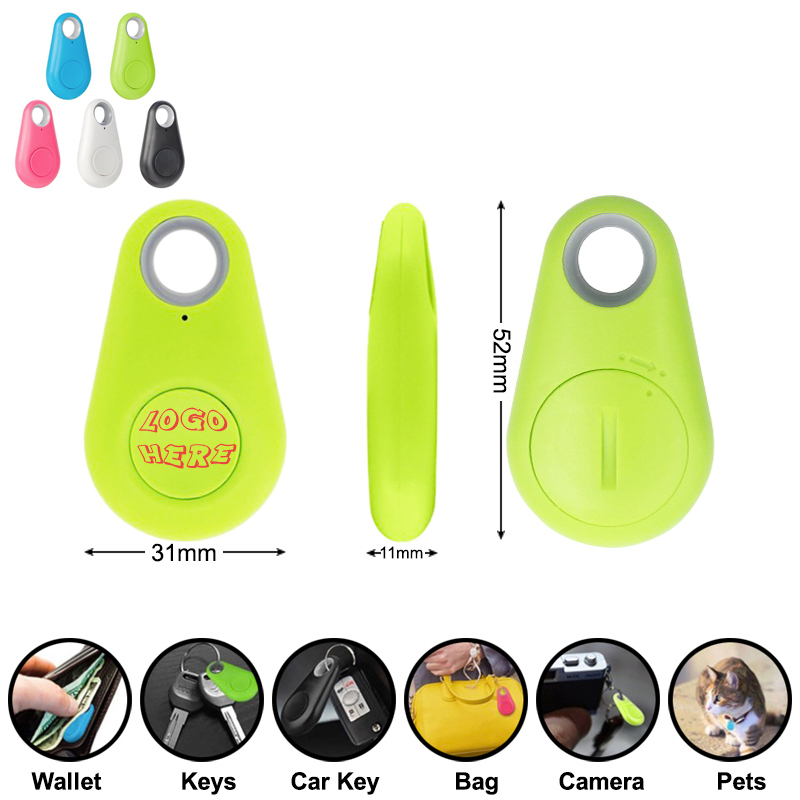 After connecting with your smartphone, you will find its amazing functions on the manual, like, anti-lost alarm, can be widely used for protecting your kids, wallet, pets, keys, luggages and other valueables. Add your logo/brand on it and make it to be next popular promotional item. Note, only compatible for the smartphones with bluetooth 4.0 version and up-grade version. Package: 1 pc/opp bag, 800 pcs/ctn, 20 lbs/ctn.